Alright! I admit it. I’m guilty! – Guilty of raising would-be hoarders. At their young age of six and seven, my two kids are now budding book collectors (it’s in their blood, you know). They’ve already started their collections of Roald Dahl, EB White, CS Lewis, and their favorite writer to-date, Geronimo Stilton. Oh yes! I’ve got two mouse-ter-ful readers at home. 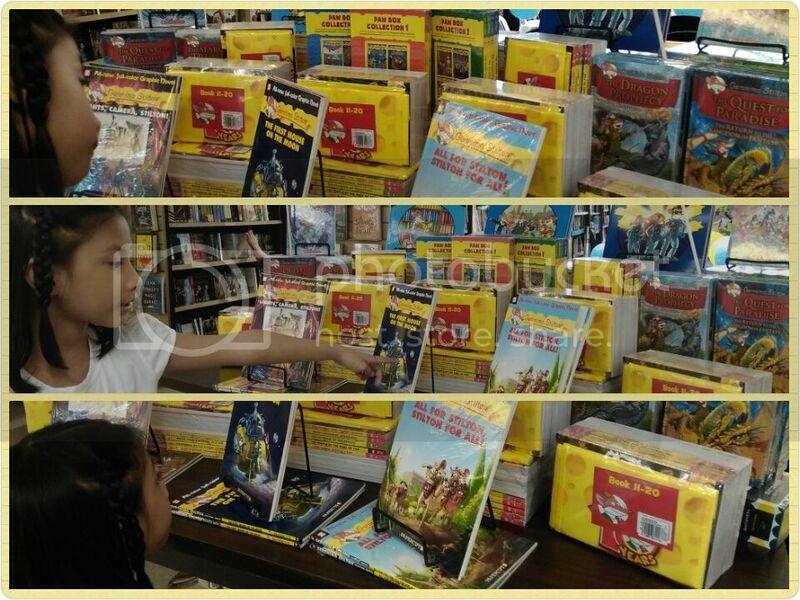 More Geronimo Stilton books from the Scholastic Sizzling Summer Sale! On our trip to the bookstore last July, my daughter Jade saw the Geronimo Stilton Academy Pawbooks on display and asked if we could buy one (Of course, she would ask – what would you expect from a Stilton fan?!). However, we had already paid for the books she had chosen. I promised her I’d get her one on our next trip to the bookstore. 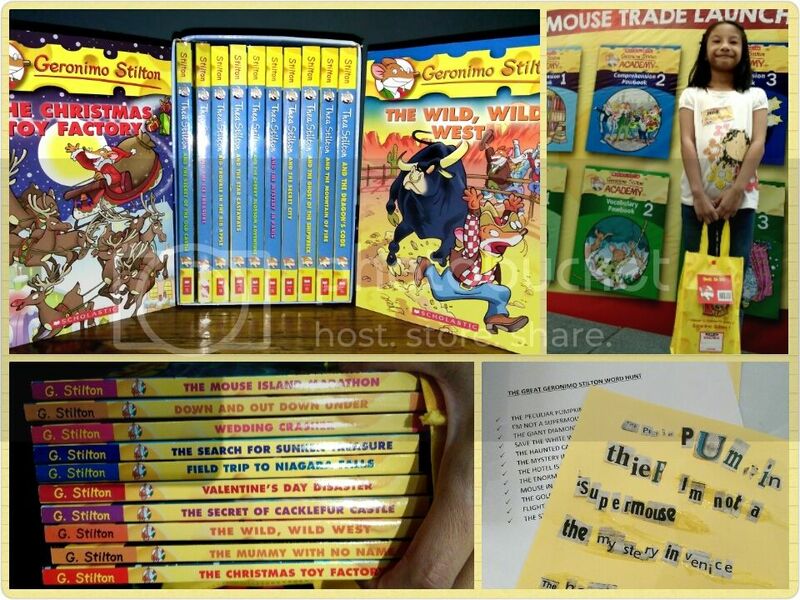 By some piece of cheese luck, she got all six Pawbooks (and a whole set of Geronimo Stilton books!) during the Scholastic Trade Launch we attended last August. Mouseterful readers make fantabumouse spellers! We won the great word hunt coz of our great teamwork – I cut the letters, she pasted them. 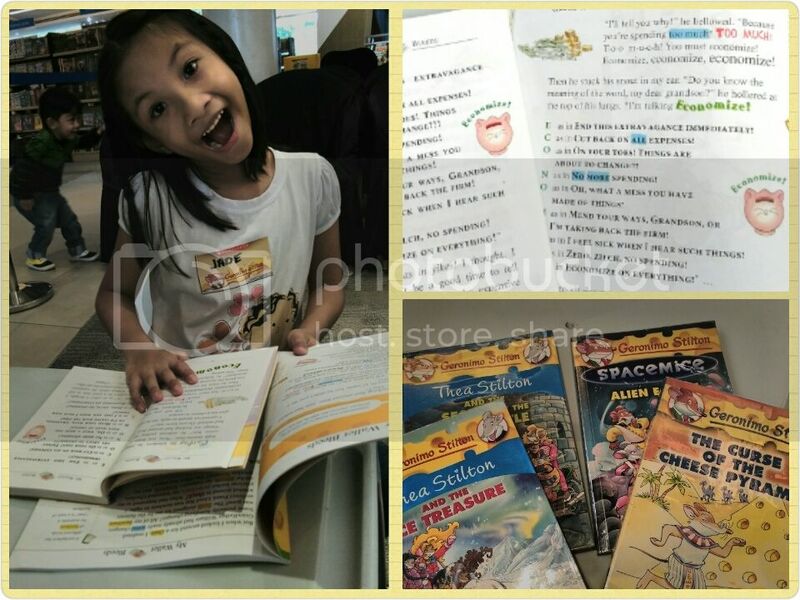 🙂 Jade won one whole set of Geronimo Stilton books but swapped them (except for two books) with Kuya Jed who won a set of Thea Stilton books. Thank you, Kuya Jed!!! Although the trade launch was held in far far away Powerbooks Greenbelt 4, my Jade and I endured more than an hour’s drive through metro traffic and bravely faced the monsoon rains just to see Geronimo and Thea. We wouldn’t have missed the event for the world! We arrived at Powerbooks an hour early but boredom was not a problem. We were surrounded by BOOKS! And Jade could spend hours reading transported into her own world of imagination. After buying a Rainbow Fairies book (also a Scholastic book! 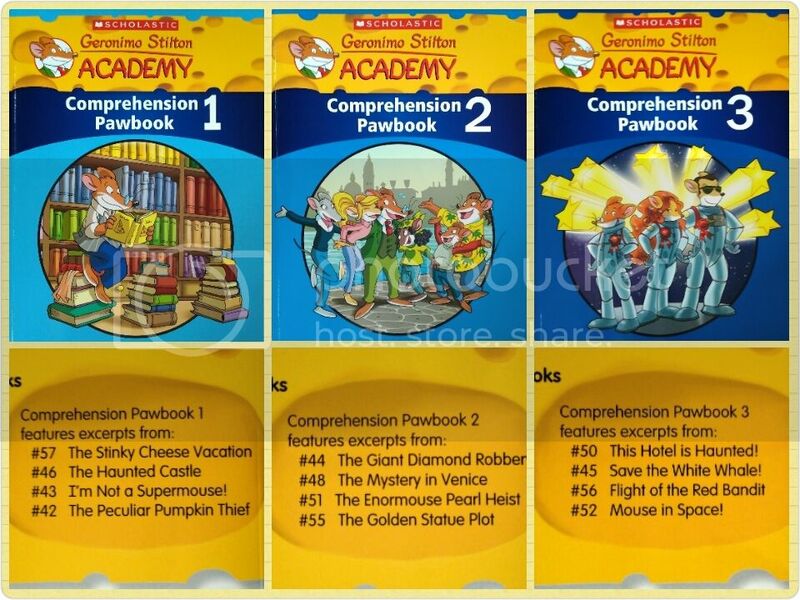 ), Jade joined me in the event area and saw the Geronimo Stilton Academy Pawbooks in my bag. Oh yeah, I’m sure you know what happened next! 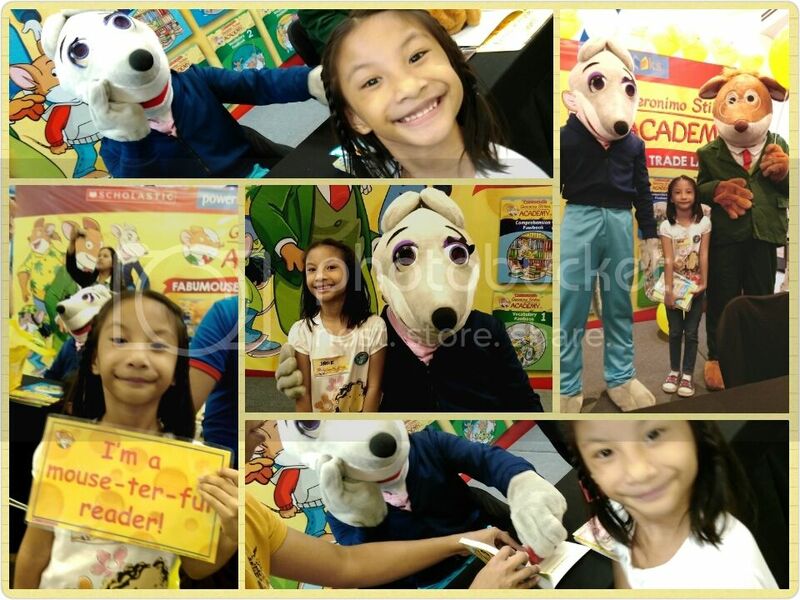 With Geronimo Stilton Academy Pawbooks, mouse-ter-ful readers can became fabu-mouse writers as well – just like Geronimo! The Vocabulary Pawbooks contain fun puzzles and activities that help readers understand word formation, build their vocabulary, and engage them in using new words they learn. The Comprehension Pawbooks help develop reading skills such as predicting outcomes, inferring, sequencing, recalling details, and drawing conclusions. Fun activities in the Pawbooks engage children and motivate them to read. Structured activities develop their comprehension skills. This October, a new set of Grammar Pawbooks will be released. Now, that’s something to watch out for! Fun, Entertaining, and Engaging. This is what sets the Pawbooks apart from other workbooks. Admit it, most English workbooks are booooring. You just have pages and pages filled with words and nothing else. 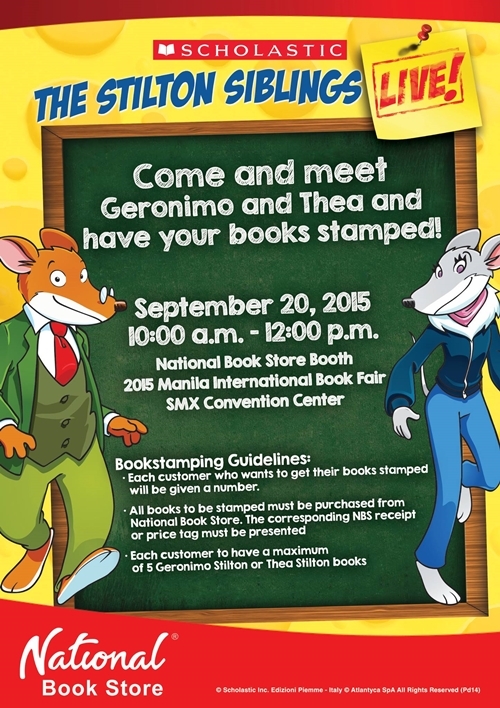 Well, Pawbooks have the same quirky illustrations and witty humor as Geronimo and Thea Stilton books. These make learning English a lot more fun. Learning English will become as enjoyable as chewing off a large chunk of cheese! When Jade first saw the Pawbooks, she just wanted to see what was inside. As she was browsing through the pages, she saw an excerpt from The Curse of the Cheese Pyramid – one of the books we brought with us for the book signing. Her eyes lit up as she exclaimed “Ohhh! I know this. It’s from the Cheese Pyramid!” After this discovery, she asked for a pencil and started working on that Pawbook. 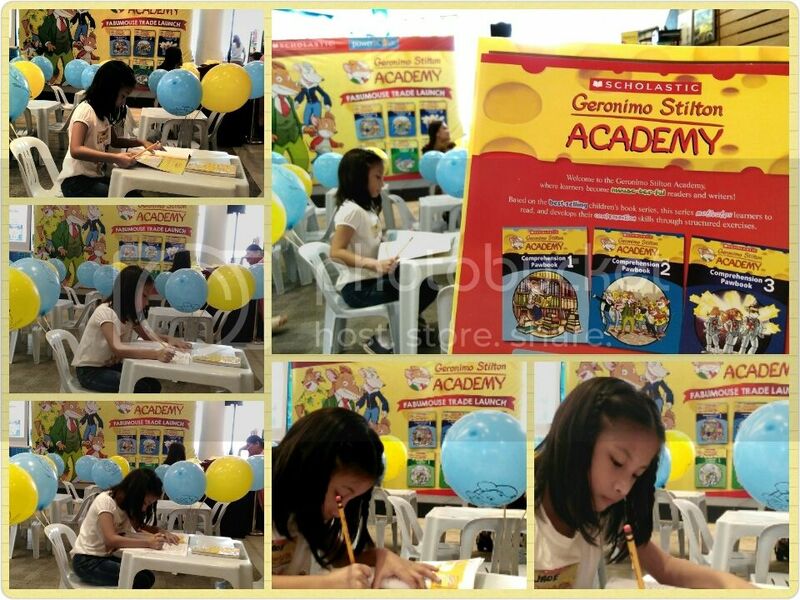 Geronimo Stilton Academy Pawbooks are targeted for kids age 8 to 13 who want to develop their literacy skills. Although my kids are just age 6 & 7, they still love working on the Pawbooks. When I asked Jakei, my 6-year-old son, if the Pawbooks were easy to answer, he said they were not easy BUT he still likes answering the exercises. 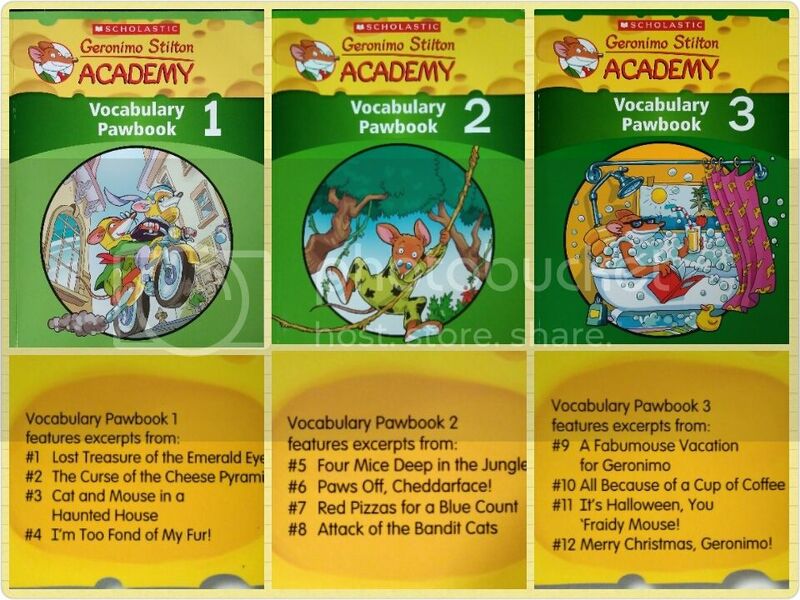 Geronimo Stilton Pawbooks are very affordable at only P299 each (that’s the price in NBS). Really a small amount to pay for learning. Oh and if you want pawsome online games and activities, check out the Geronimo Stilton page in Scholastic.com where you – oh, okay, your kids – can create your their own Geronimo Stilton comic book. So, she received two sets of GSA Pawbooks, won a set of new Stilton books, and won GCs to Mind Museum. BUT, this has got to be the highlight of her day – MEETING THEA STILTON!!! I loved books so much specially pang nursery and pre-school. Your so lucky mommy that your kids are books lover. 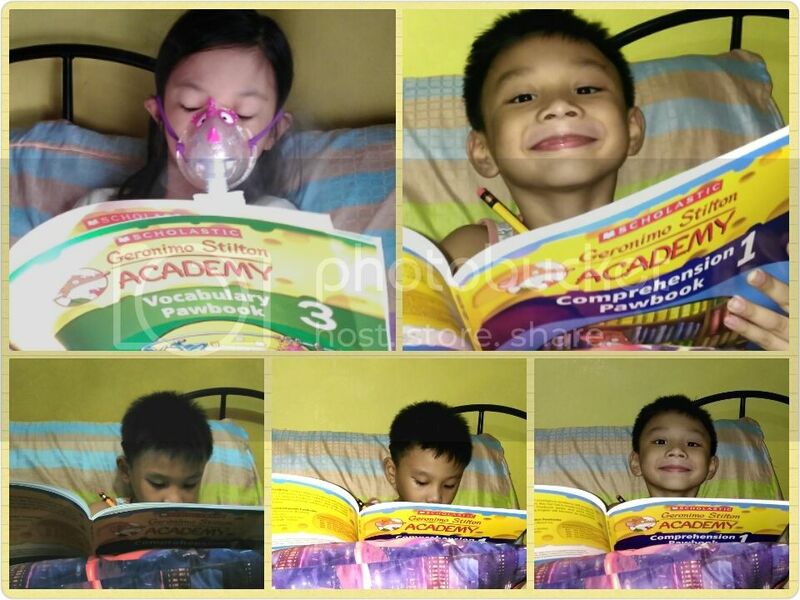 But my toddler well, kasi parang nagmana talaga sa papa na di mahilig sa books, mas ako pa ang nag enjoy sa mga books nya. hahahha! Pero di pa ako nawawalan nang pag-asa I still encourage him every night reading him bible stories, rhymes and many more! I wish we had these when we were young. I can’t believe the books just cost P299 a piece! That’s cheap for great books like these. Thanks for sharing! One of my daughters is already 12 years old but she still loves Geronimo Stilton books. Too bad we have something else planned already for Sept. 20. It would be nice to take her to the book stamping event. My son loves Geronimo Stilton, and it’s actually the fisrt book series he ever started reading. Maybe I can take him to the event. I bet he’s enjoy that. I was like your kids when I was young. I was already a bookworm at 6! I’m hoping to pass the “gene” to my son, and I’ll surely be buying these books when he grows a little bit older! I’ve been hearing a lot about Geronimo Stilton. A fellow homeschooling mom is selling a set, and someone already bought it. I’ll look this up. 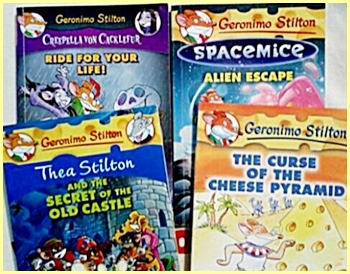 The Geronimo and Thea Stilton books are really great reads for children. The stories are mostly about their adventures in different countries. What I love about them other than the really awesome graphics are the trivia and fact sheets about famous people, animals, and different places around the globe. I love Scholastics book fairs. I can’t wait to add more books to my son’s collection. Ideal gifts for my pamangkins this holiday season. I am sure they will love it.